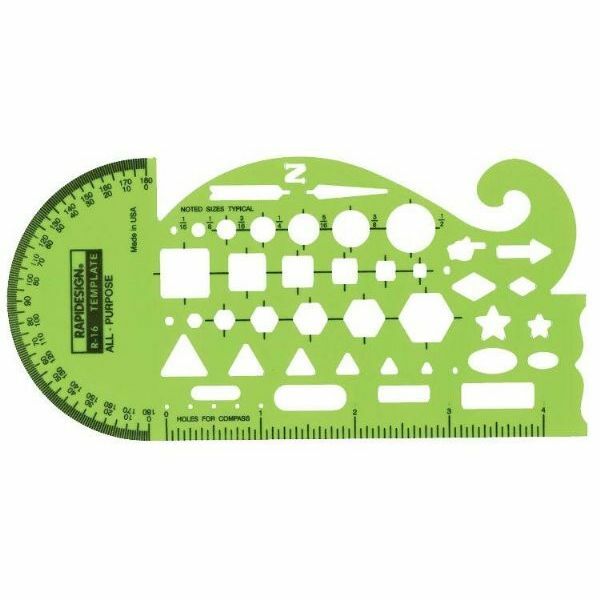 This Protractor Triangle is a must-have in any navigation kit. 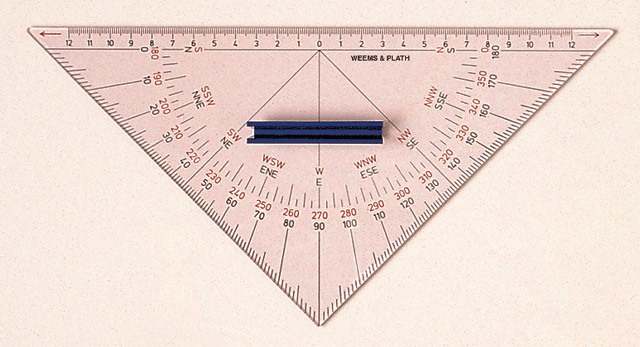 The protractor triangle is inscribed with black markings. 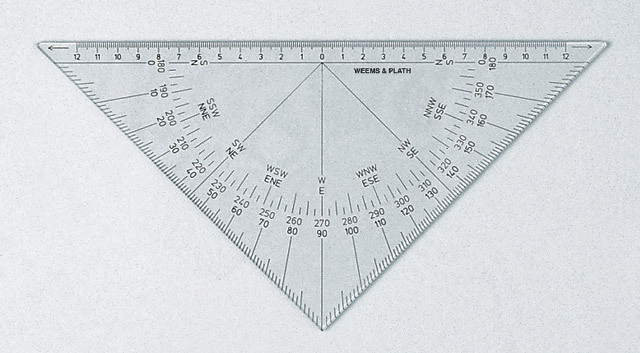 Using two 45 degree triangles provides an easy method of plotting and performing chart work. 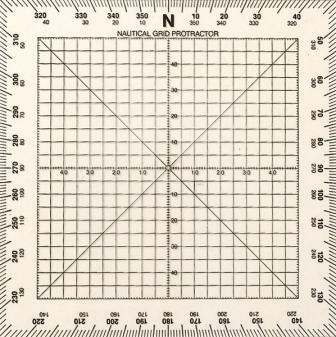 With its protractor scales, the protractor triangle is easily aligned in any direction with a chart meridian. Direction on the protractor triangle is maintained as one triangle is slid along the other to the desired position. 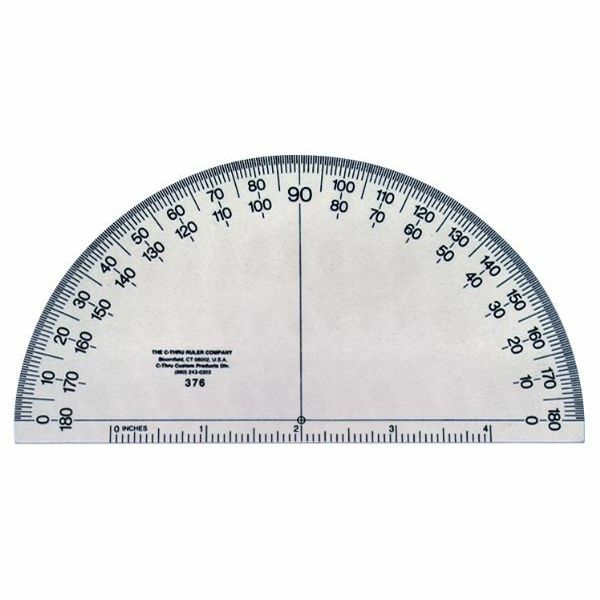 The protractor triangle is crafted of light-weight, durable clear vinylite.